A sixth-plate tintype from the Herb Peck Jr. collection is an unidentified young Texas infantryman. The editor observes that the response to the 10th anniversary was overwhelming and looks forward to serving subscribers in the coming decade and discusses the bid by the Irish Brigade Monument Committee to erect a monument on the battlefield of Antietam. Letters to the editor include congratulations on the 10th anniversary of the magazine, praise for the all-Maryland issue, and the stealing of a Medal of Honor from the Rose Center in Morristown, Tenn.
Six publications are mentioned: Archaeological Perspectives on the Battle of the Little Big Horn (University of Oklahoma Press) by Douglas D. Scott, Civil War Justice: Union Army Executions Under Lincoln (White Mane Publishing) by Robert I. Alotta, Pictorial Encyclopedia of Civil War Medical Instruments and Equipment, Vol. II (Pictorial Histories Publishing Co.) by Dr. Gordon Dammann, Arming the Fleet: U.S. Navy Ordnance in the Muzzle-Loading Era (Naval Institute Press) by Spencer Tucker and more. A collection of 24 images of groups of soldiers that capture the bonds of loyalty and friendship forged by comrades during wartime. “Sam Davis was a Tennessee Confederate whose hanging created a legend that endures to this day,” notes the author, who observes that his moniker as the “Boy Hero of the Confederacy” was created by Confederate Veteran magazine. What follows is the story of Davis’ life and death. One of the typographers, or “typos,” that volunteered to join the army when war erupted between the U.S. and Mexico was William Waters of the 4th Illinois Infantry. His service was brief as he died of disease before he ever stepped foot in enemy country. A photograph of the officers of the double-turreted monitor commissioned in 1895 is accompanied by a brief history of the ship. Though the men are not identified, one of them wears a Medal of Honor. An excerpt from the author’s new book about the regiment incudes 15 portraits: 1st Sgt. Henry Smith, Pvt. John Mullica, Lt. John Rich, Corp. John Tonkin, Lt. Col. Thomas Davis, Pvt. Charles Weideman, Lt. Charles Brown, Capt. Frank Acton, Lt. Ellis Phipps, Capt. Newton Brooks, Pvt. Charles Stratton, 1st Sgt. Azariah Stratton, Corp. Garrett Deacon, Lt. Charles Lippincott and Pvt. Albert Carll. Excerpts of letters by Capt. Oliver Hazard Perry Scott of the 3rd Iowa Cavalry, who went on to become the major of his regiment before accepting the colonelcy of the 48th Iowa Infantry. A collection of eight images of men dressed in uniforms that appear distinctly non-American might fool you. In “79th Regiment, New York State Militia,” McAfee explores the history of this Highland-inspired regiment. The narrative is illustrated by a portrait of an unidentified member of the regiment and a photograph of the regiment marching through Manhattan on July 4, 1860. 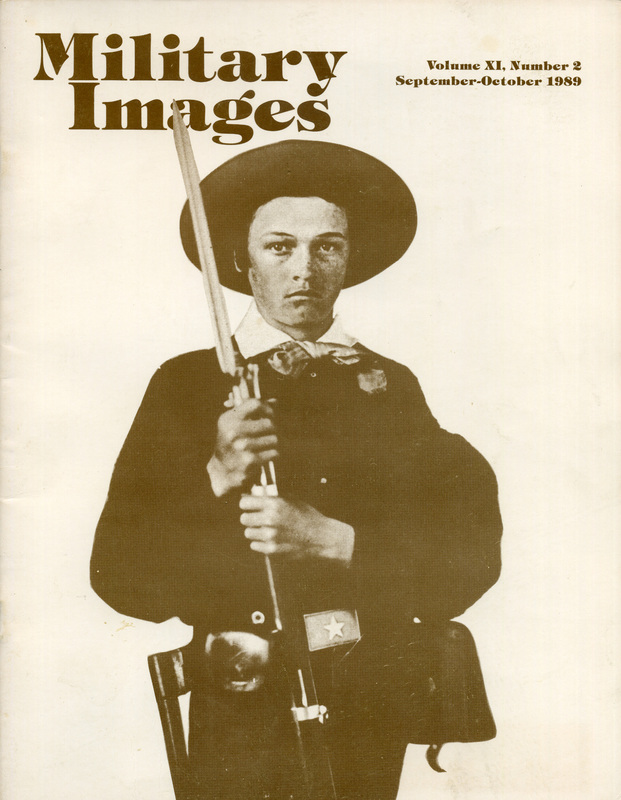 Three images are displayed, including a sergeant in the 146th New York Infantry, a private in the U.S. Dragoons and a private in the 51st Tennessee Infantry.